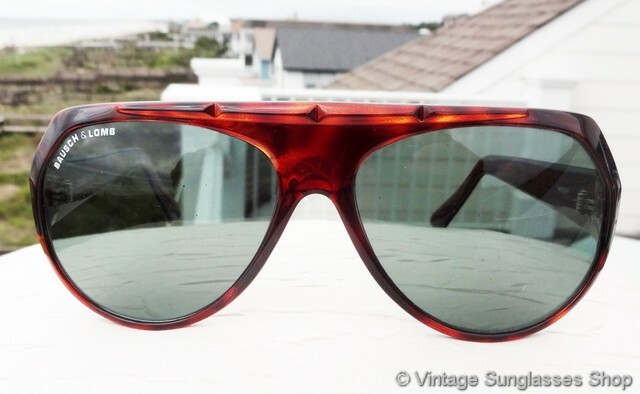 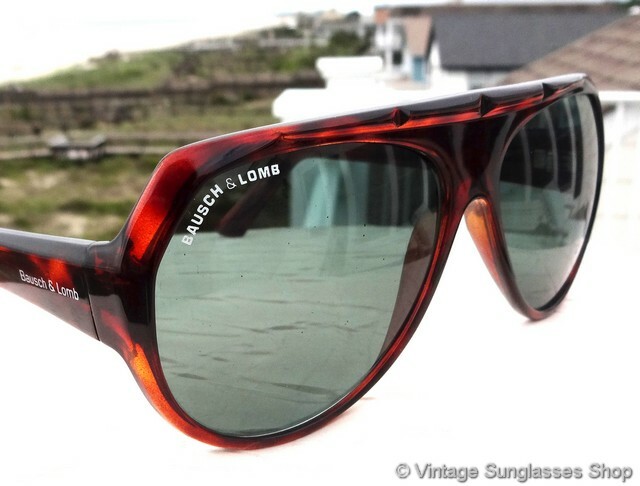 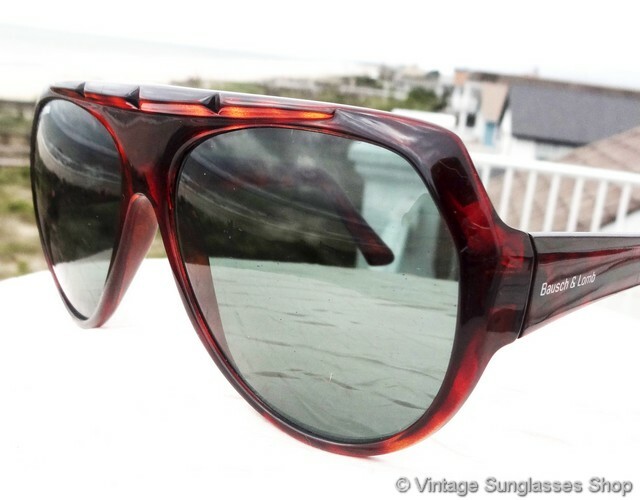 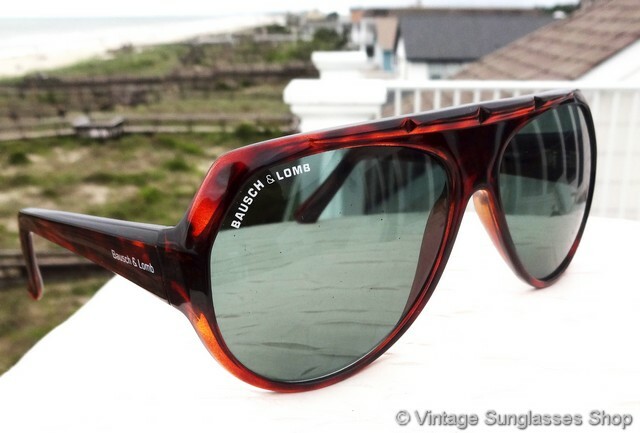 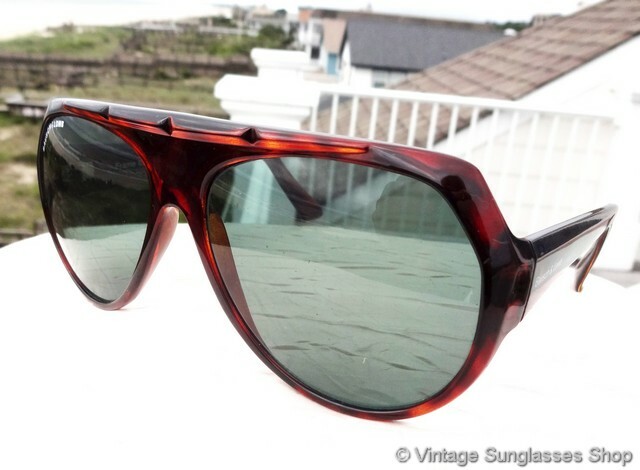 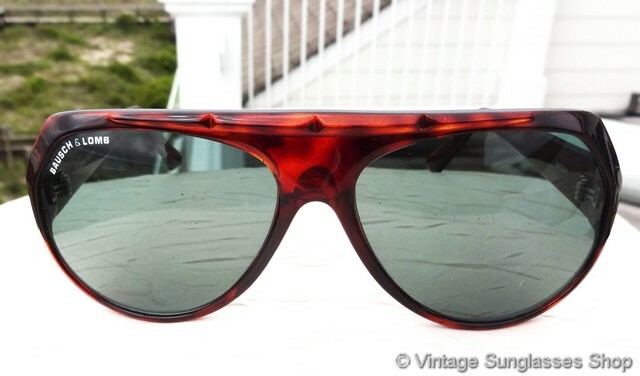 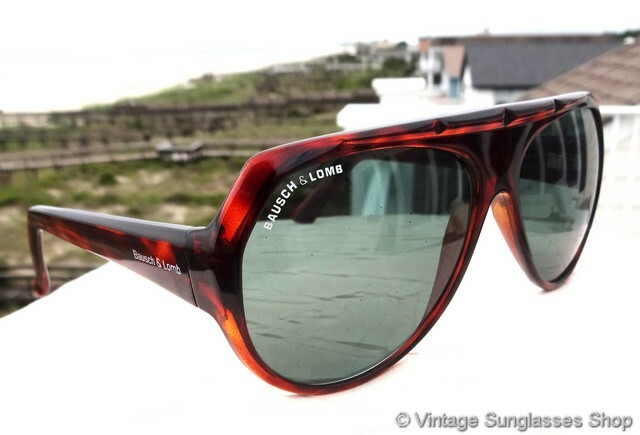 Vintage Bausch & Lomb W0581 sunglasses feature a uniquely shaped and notched tortoise shell frame and B&L P-15 polarized lenses. 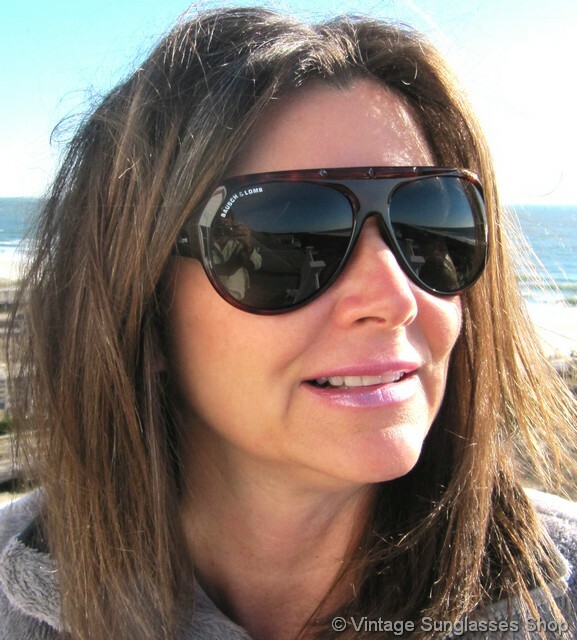 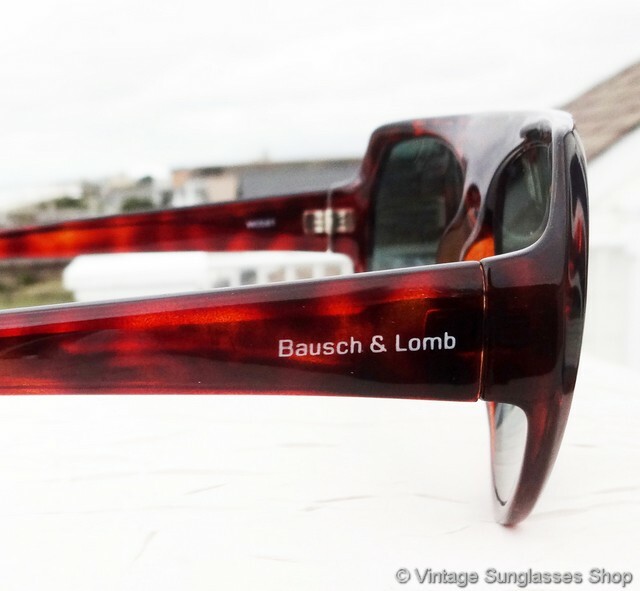 Designed specifically for fishing and other high glare sports, Bausch & Lomb P-15 lenses filter out both reflected and direct glare - conditions which can impair vision and cause eye strain. 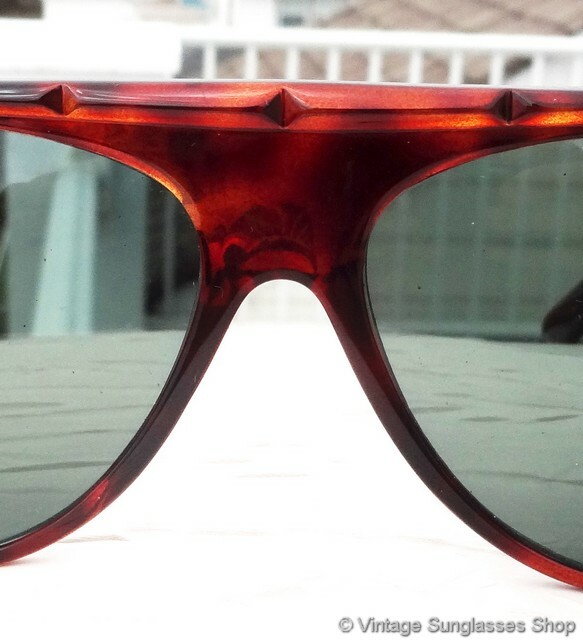 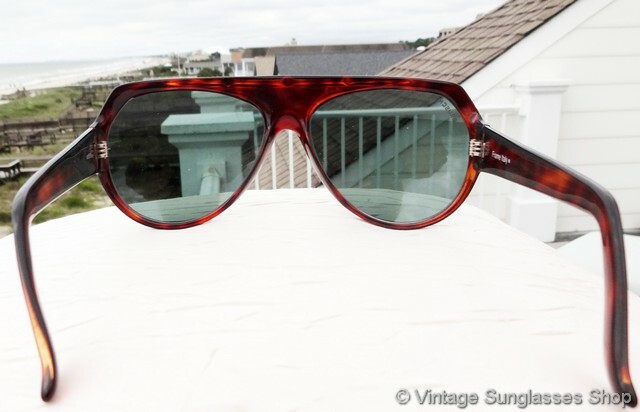 The B&L W0581 frame is a smooth red tortoise color that has 3 notches above the nose bridge for some added design flair. 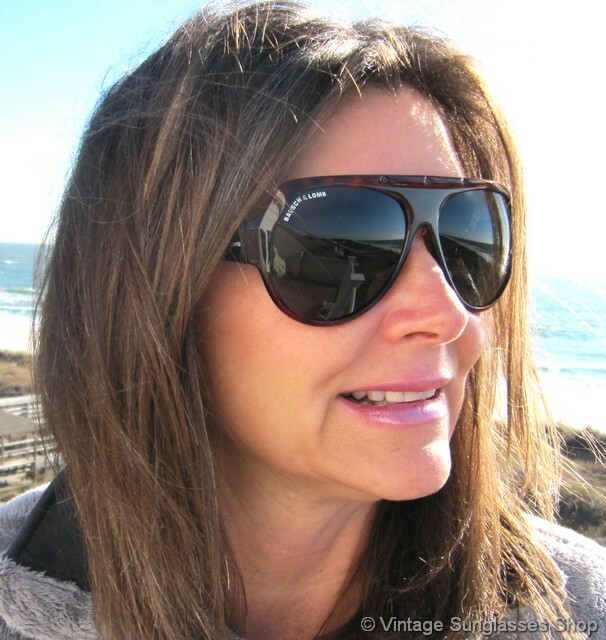 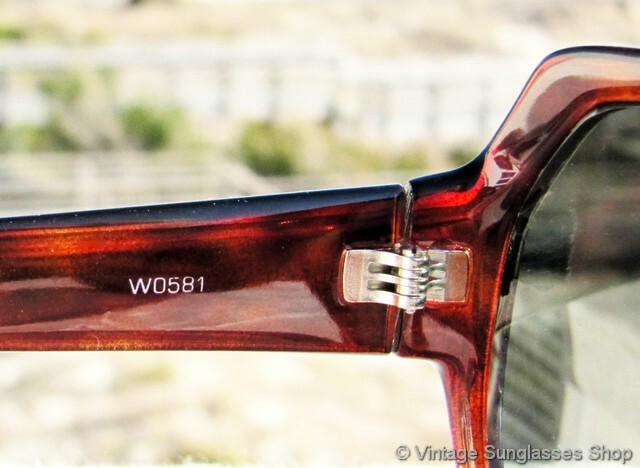 The unisex W0581 frame measures approximately 5.675" temple to temple, and the lenses measure approximately 2.375" x 2.0" at the widest points with the right lens laser etched Bausch & Lomb. 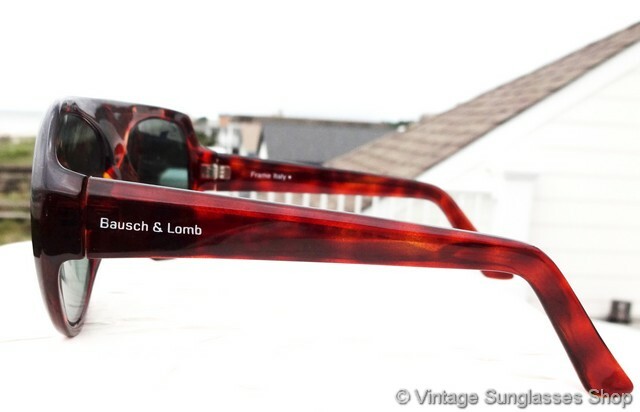 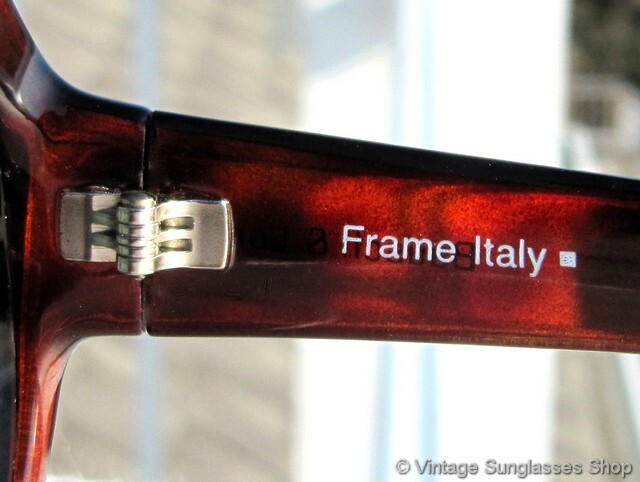 You'll find the Bausch & Lomb logo embossed on the exterior of both ear stems, and the inside of one stem is marked Frame Italy while the inside of the other stem is marked W0581. 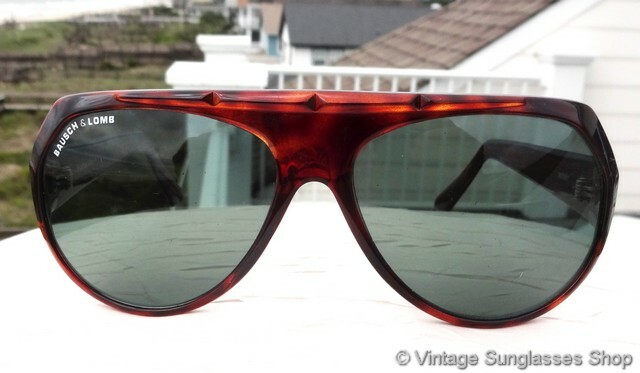 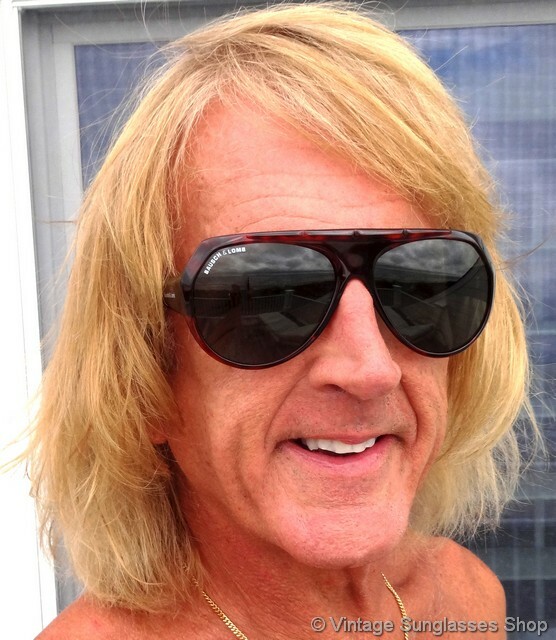 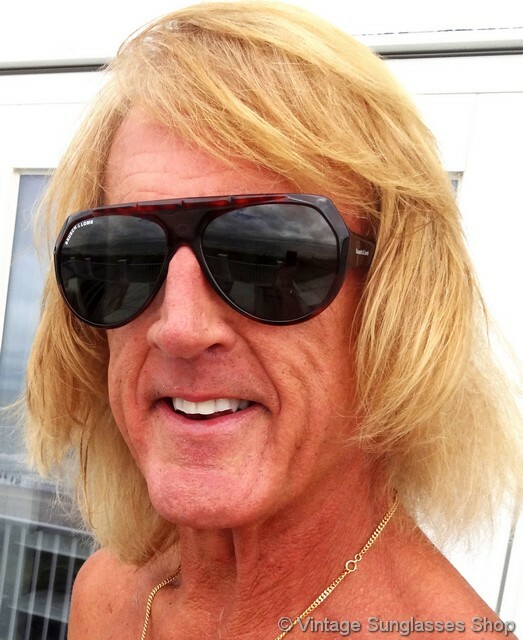 These are new old stock B&L W0581 P-15 polarized sunglasses in mint, unworn condition, right out of the dusty stock room of a Beverly Hills, CA optical shop closed in the early 1990s.